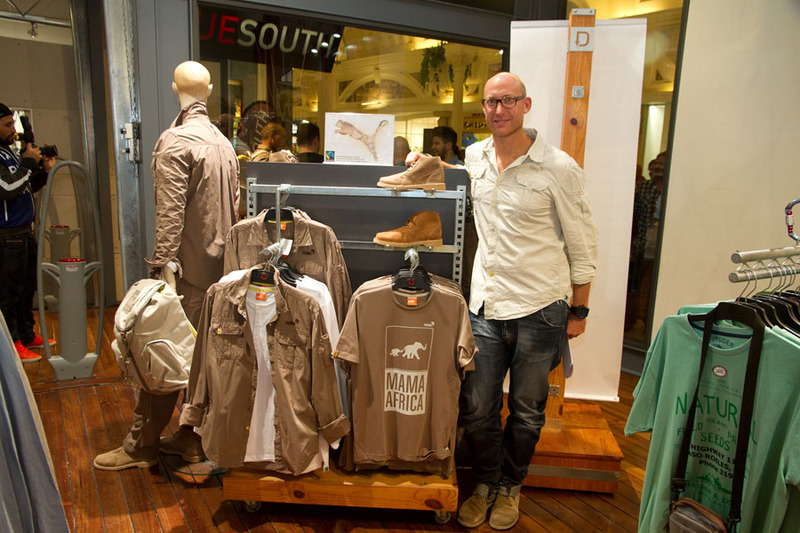 Puma paid more than lip service to their commitment to sustainability when they became the first clothing brand in SA to launch a range accredited by Fairtrade. 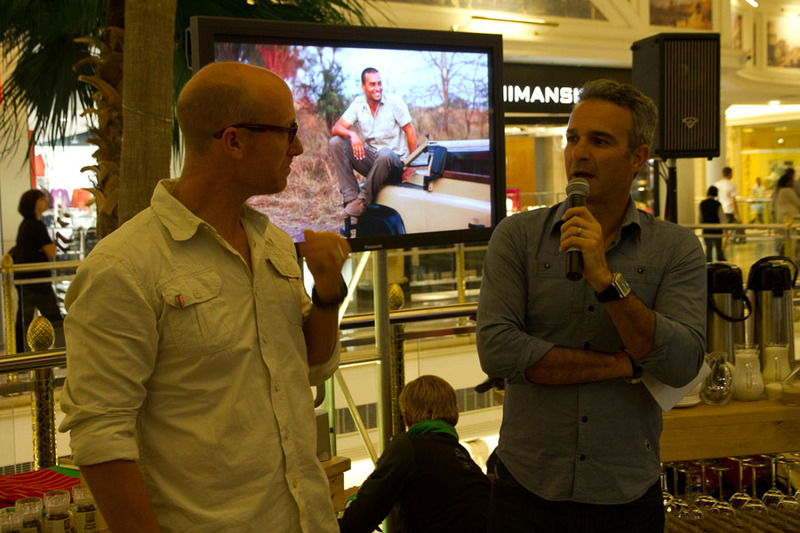 The launch of the Puma Wilderness Collection in selected Duesouth storeson on Thursday (22 March) can claim several “firsts” – it is the first time that an international brand has a global launch of a range in South Africa, it is the first time that Puma introduces an outdoor clothing range and proper home-grown “vellies” (manufactured in Cape Town by Jordan & Co) – 94% produced in Africa – and it is the first time that Fairtrade SA accredits a clothing range. Guests at the launch enjoyed food and drink (even chocolate) accredited by Fairtrade – a lobby group that started in the Netherlands 25 years ago to show support for the small-scale Mexican coffee bean farmers. Since then it has grown into a worldwide organization operating in most countries. 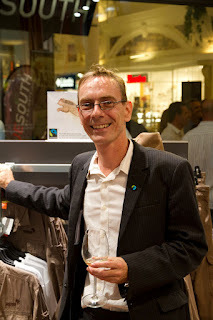 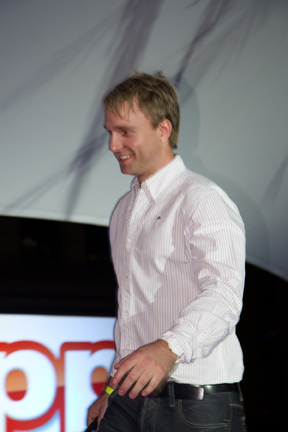 In SA it is headed by Boudewijn Goossens, who first became involved as a student in the Netherlands. 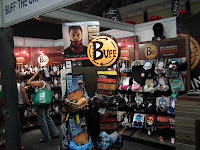 Puma earned the Fairtrade label on 81% of these apparel styles for sourcing the cotton from small-scale economically disadvantaged farmers, thereby creating opportunities for these poor communities and promoting sustainable development. 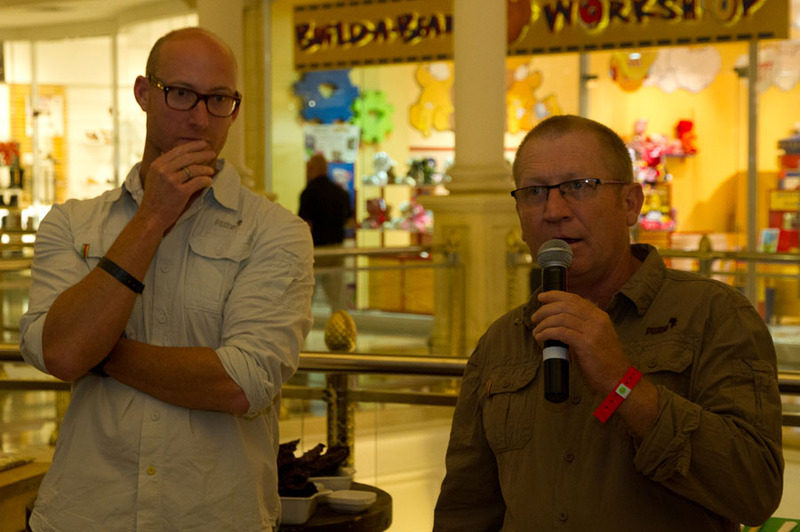 Fairtrade certified cotton means that producers not only receive an agreed minimum price to cover production costs, but also a Fairtrade Premium of €50 (R500) for every ton of cotton they sell to spend on projects like schools, health care and improved production. 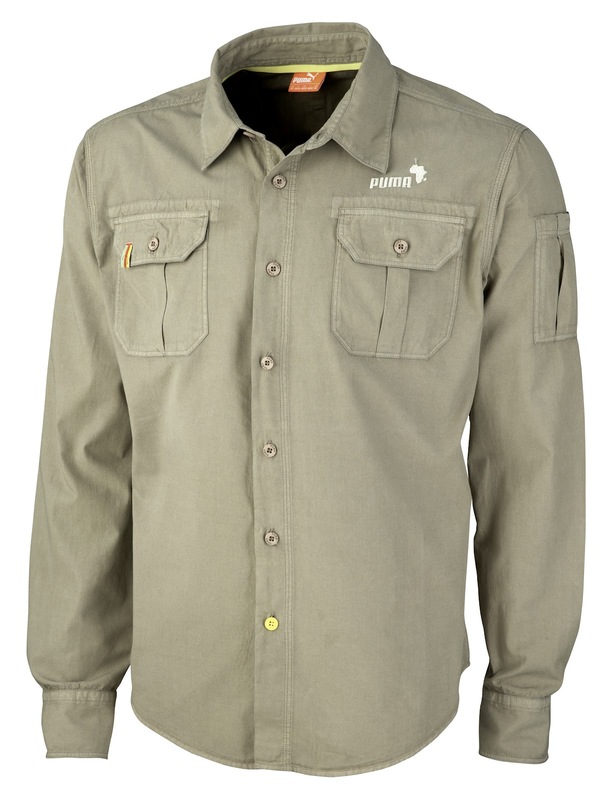 The retro-style button-up sweatshirts, graphic tees, woven cotton shirts with a bushwacked look and collars to protect against sunburn, cargo shorts and pants were 94% made in Africa, where they helped to create new jobs for African opportunities. A ladies range will be on the market in 2013. 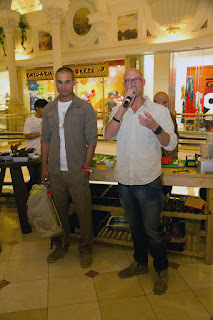 Their backpack is made of 100% recycled polyester, says Puma marketing director Brett Bellinger. 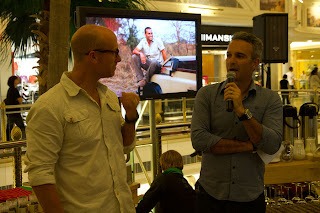 The inspiration for the PUMA Wilderness collection was provided by Wilderness Holdings, the Botswana-based ecotourism and conservation company dedicated to sustainability, biodiversity and development of rural communities in nine African countries. 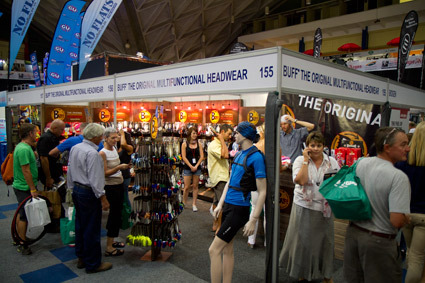 PUMA has a 20% shareholding in the company. 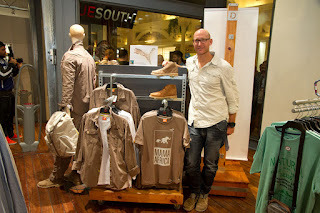 Following the launch in some DueSouth stores (part of Foschini Sport), Puma aims to sell the range into other SA retailers and also internationally. Foschini Sport marketing director Fernando Ventura and triathlete Dan Hugo. 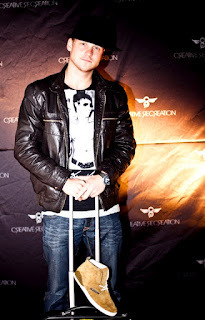 Creative Recreation, a Californian brand with attitude and style, was officially launched into SA at a launch party in Sandton attended by local celebs, including new brand ambassador Jo’burg rapper Dylan 'Blayze' King, actors, radio and TV presenters, other beautiful people, retailers and media members. Founded in 2002 as a cross between the fashion style of a dress shoe and the comfort of athletic sneakers, Creative Recreation soon gained a following in the States, with US singers Kanye West and Christina Milian wearing the brand. 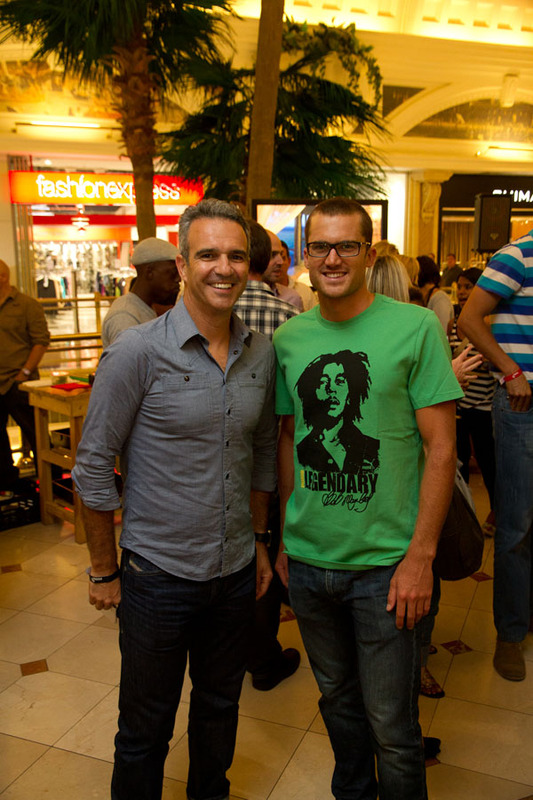 The Lacava shoe was even featured as “The Best (and brightest) Shoes of Spring” in a recent Esquire magazine story. 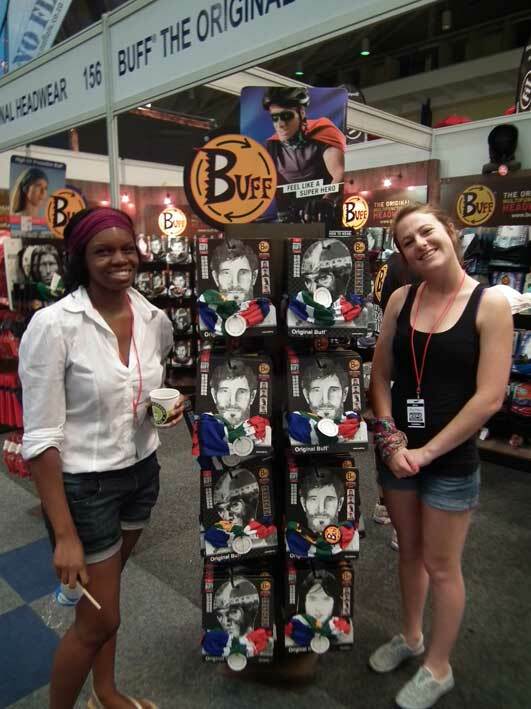 Local entrepreneur Daniel Kerdachi of Trend Mania – with many years’ experience selling and marketing footwear brands in SA – has introduced the brand, which he says is “characterized by originality and imagination”, into the local market. 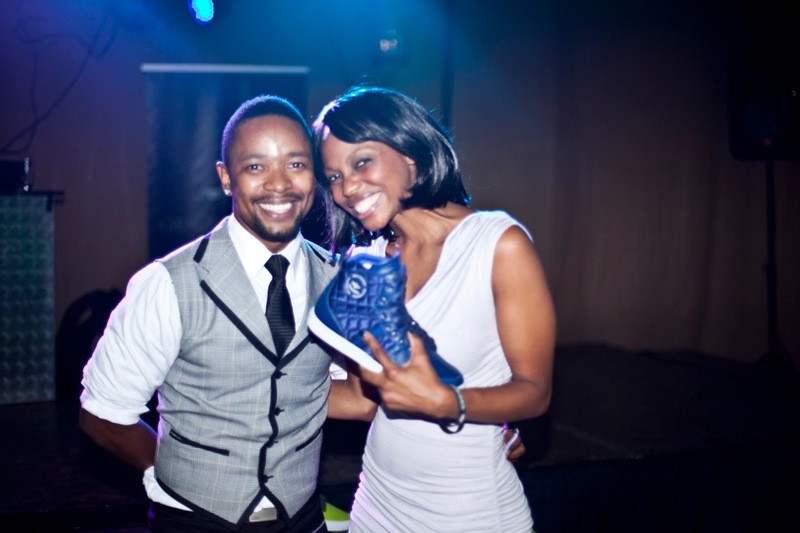 aired on the Vuzu channel and a promo girl admiring the shoes. 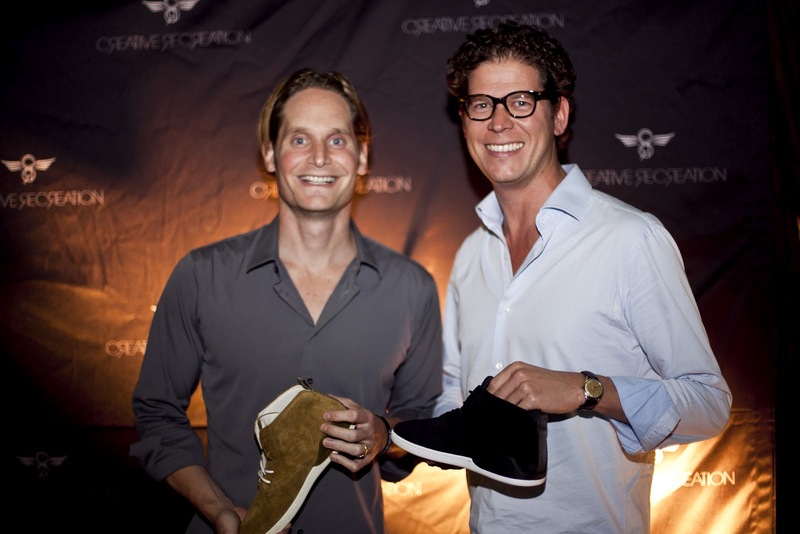 Created as a comfortable shoe with a versatile fit in eye-catching styles that look equally good with a suit or jeans and tees, Creative Recreation’s range is vast. 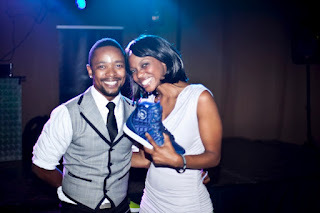 There are hi-top, ankle boot, boat shoe, sneaker and dress shoe styles in canvas, leather, padded fabric, etc. in various combinations and colours. 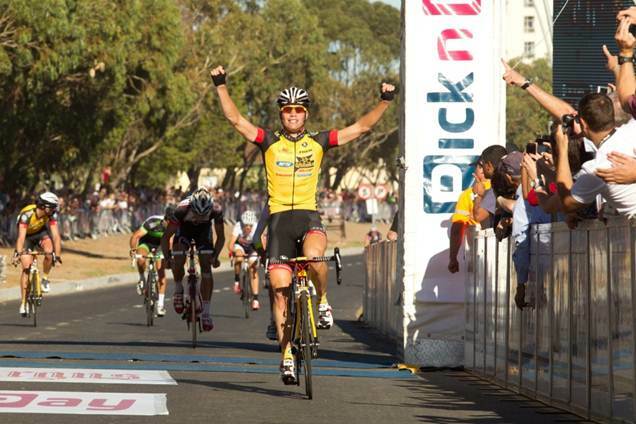 Reinardt Janse van Rensburg of team MTN-Qhubeka, sponsored by Trek, locally distributed by Treger Brands, claimed his maiden Cape Argus victory at the Pick n Pay sponsored cycle tour, held on 11th March. 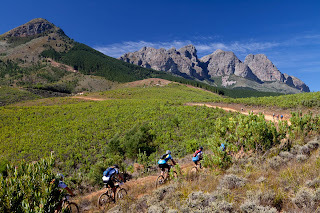 Teammates Arran Brown and Dennis van Niekerk finished in fourth and seventh places respectively. 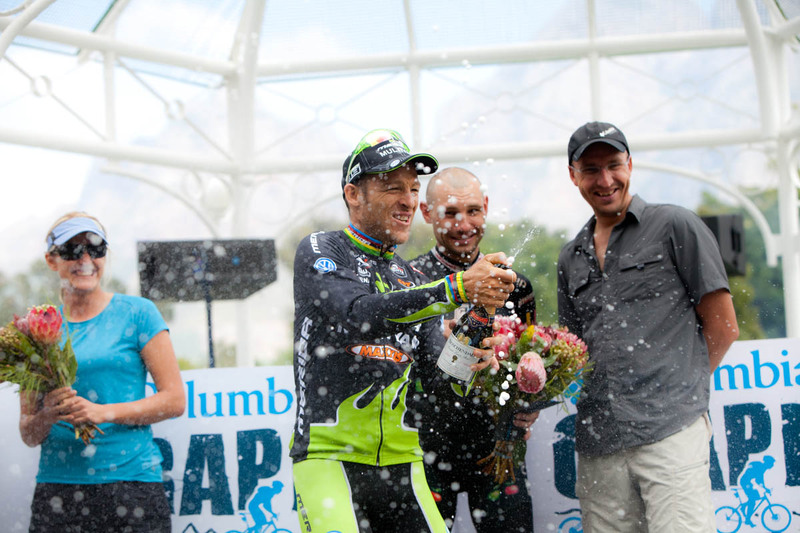 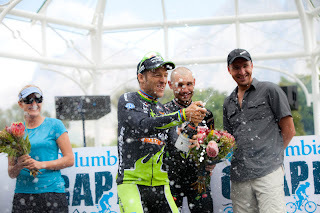 The tough Columbia Grape Escape 2012, held just before the Cape Argus Pick n Pay Lifecycle Week, once again attracted top quality riders. 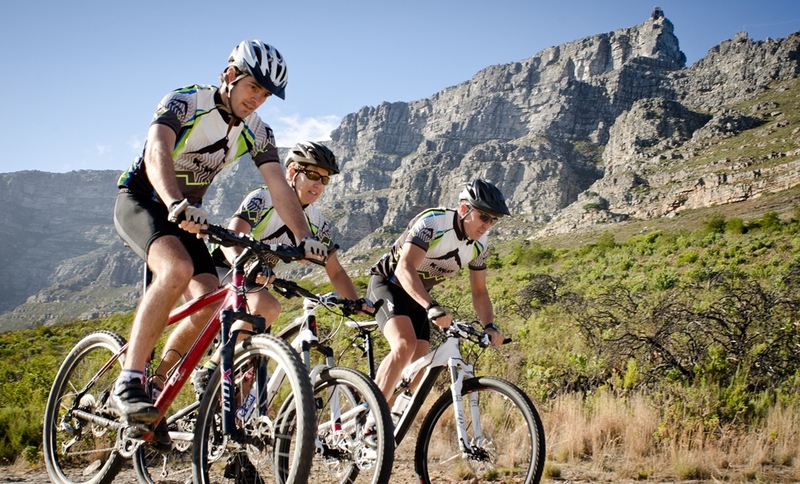 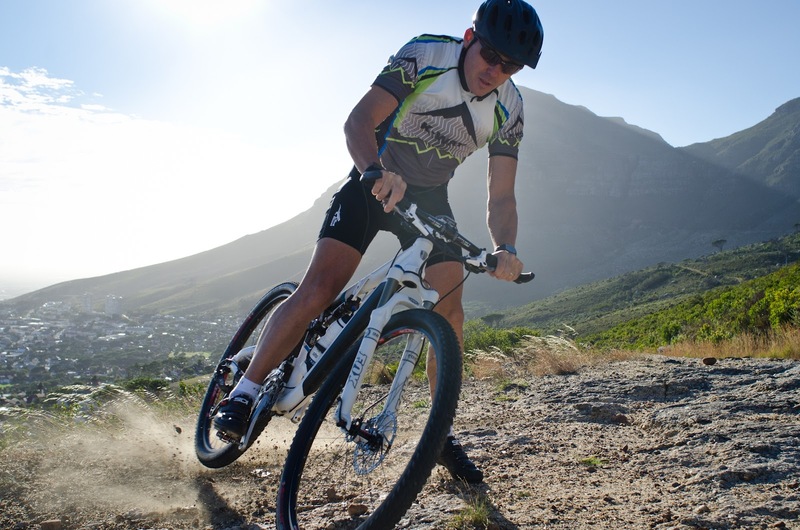 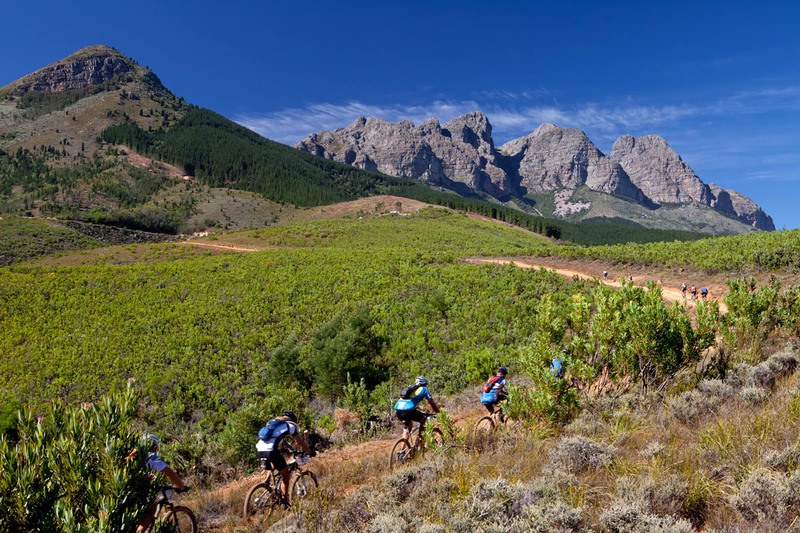 Launched in 2011, the race is held over three days and amateur and professional mountain bikers cover over 200km of some of the most spectacular terrain in the Boland – including over 4 000m of climbing. 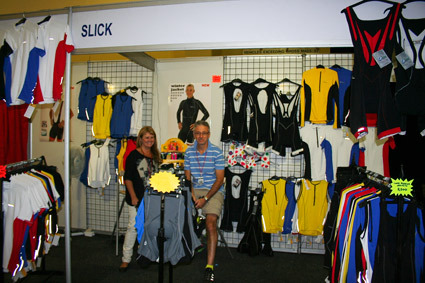 Jackie Gouwerneur and Pieter Strobos of Wild Elements Apparel, local Columbia distributors, were ready to welcome the winners home. 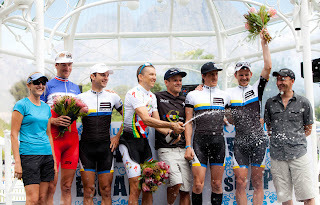 They were Burry Stander and Christoph Sauser (men’s team), Hanlie Booyens and Jane Seggie (ladies’ team), Ariane and Erik Kleinhans (mixed team), Ralf Näf (solo men) and Ann Harrison (solo ladies), photographed by Karin Schermbrucker. 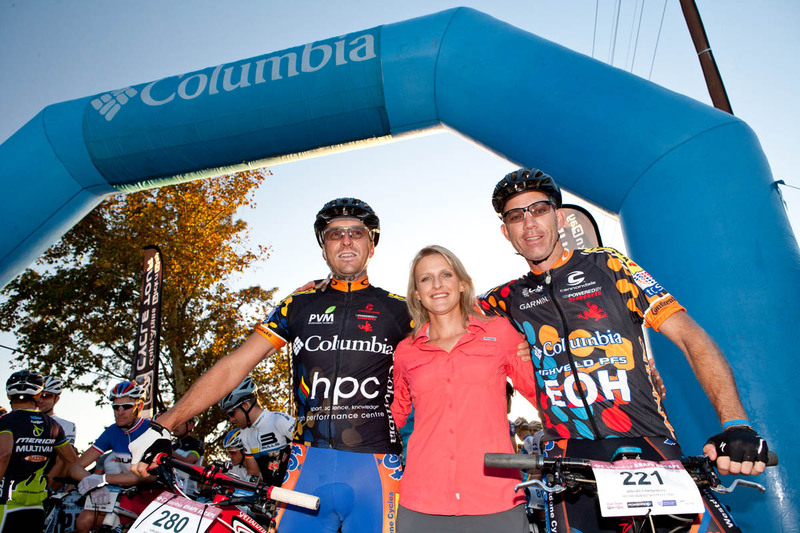 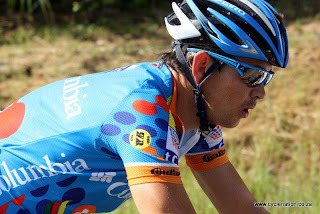 Columbia riders showed top form in their new kit at the Momentum Health i-Flex National Duathlon held at Kameelfontein, Roodepoort, on the 4th of March. 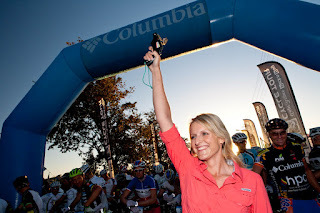 Team Columbia Sportswear was in the spotlight for nearly 90% of the race. Laureus World Sports Academy Members Miguel Indurain, Hugo Porta and Daley Thompson teamed up with Morne du Plessis, Chairman of the Laureus Sport for Good Foundation South Africa for the Cape Argus Pick ‘n Pay Cycle Tour on Sunday 11th of March. 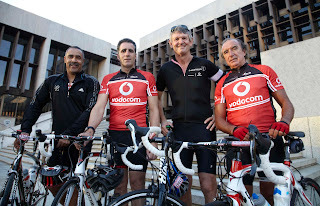 They rode as part of the Laureus Vodafone peloton in the race, which involves more than 30 000 participants. 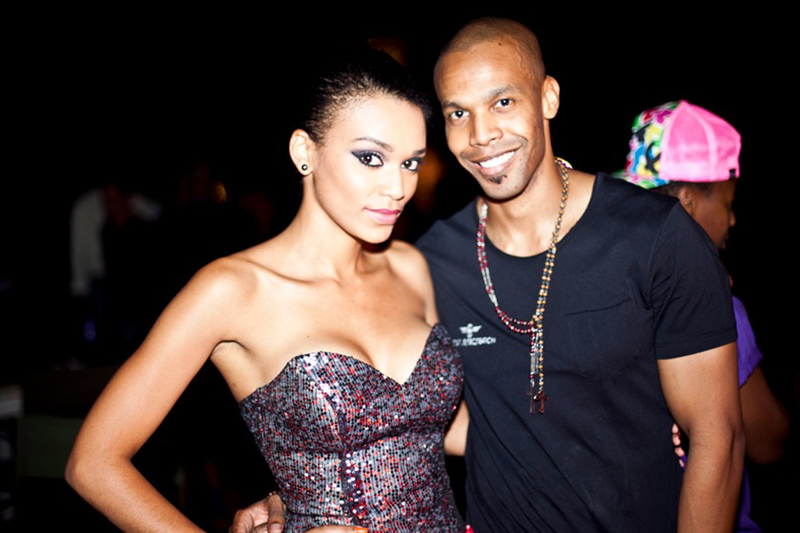 Kappa is back with a bang – and the good wishes of key PSL players, hard-hitters like Nick Durandt and his boxers, beautiful people like Mr SA finalists and singer Danny Kaye, big and small retailers from near and far, and the press. 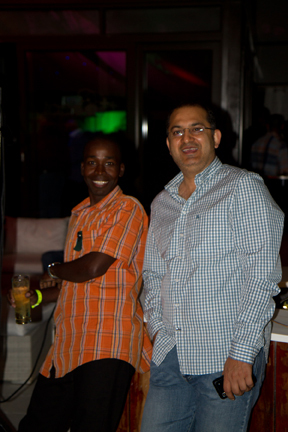 Judging by the people attending the Kappa launch at the Taboo club in Sandton, Michael Joseph, his son Ricky and partner Dave Abramsohn, had done their homework. The people who can smoothe the re-entry of the brand into SA were all there. 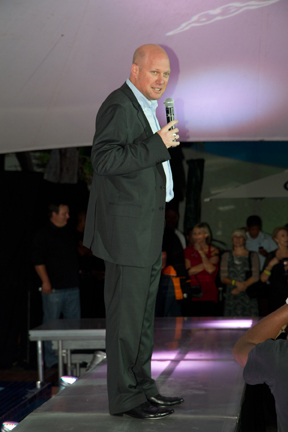 PSL CEO Stanley Matthews reminisced about the heyday of SA soccer in 1996 when Pres Nelson Mandela proudly lifted the African Nations cup, wearing a Kappa team shirt. 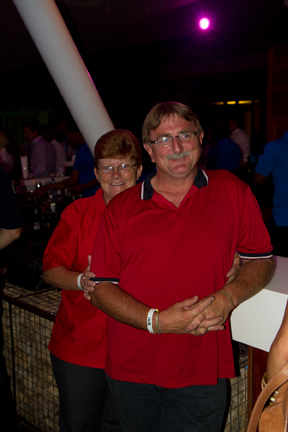 He highlighted the Joseph family’s soccer link when mentioning the days when he coached Ricky at Balfour Park. 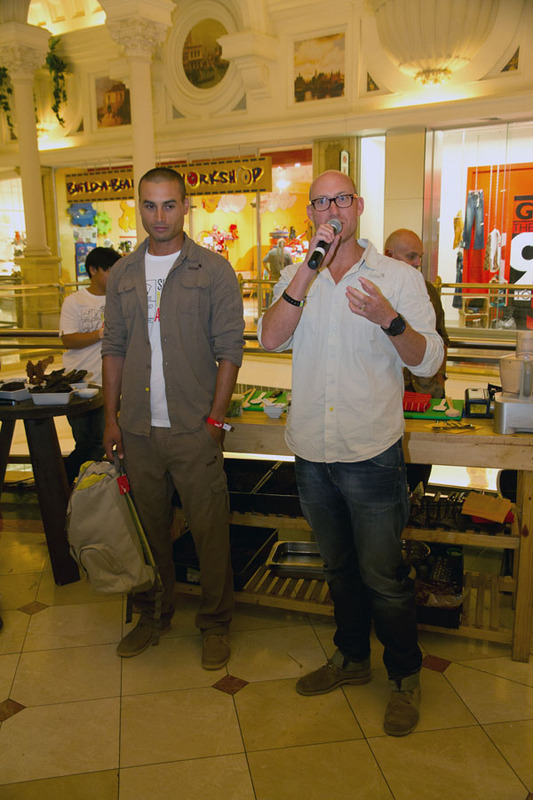 Former Bafana Bafana striker Shaun Bartlett did the lucky draw. 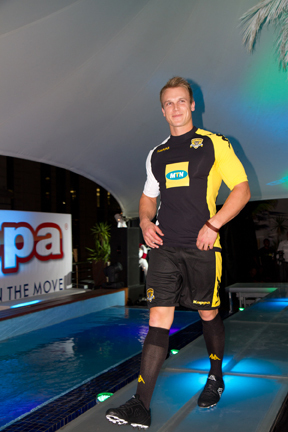 Supersport coach Gavin Hunt enjoyed the fashion show and quips from fellow footballers about Black Leopards’ win in their new Kappa-sponsored kit against Supersport United. 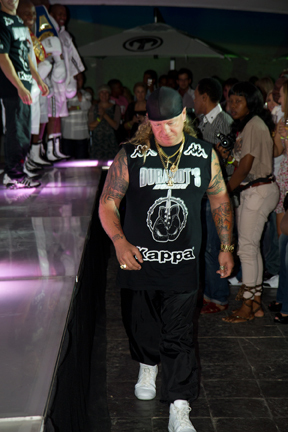 Nick Durandt in his signature kadot, his son Damien and some of their young champs showed off their Kappa boxing kit before the models, including a Mr SA finalist, took to the stage in Kappa’s brighty coloured T-s, stretch shorts, sweats, hoodies, three-quarter shorts, golfers and soccer boots, cross-trainers, sneakers and technical trail shoes. 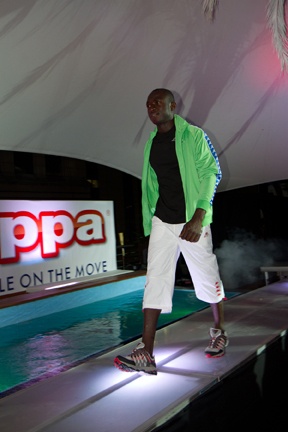 Italian brand Kappa – from the same stable as the Superga brand successfully established by Joseph in SA – grew out of a “jocks and socks” family business founded in 1916 into one of the few billion dollar sports companies in the world. 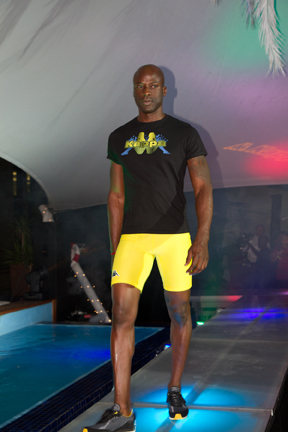 Having sponsored Juventus, the US Olympic team in the 1984 Olympics, Italian rugby and about 100 football teams across the world, it is known globally as a sport brand with lifestyle appeal. 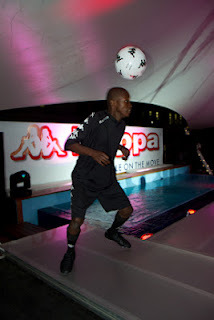 Locally Kappa sponsors the PSL team Black Leopards, three indoor soccer teams and also development teams at grassroots level. 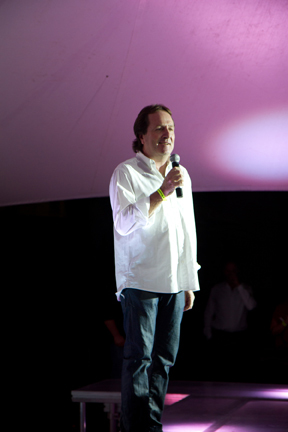 Joseph acknowledges that the fact that the brand had been in and out of the country is a drawback, and therefore laid a strong retail foundation before the public launch – getting commitment from countrywide chains to independents. 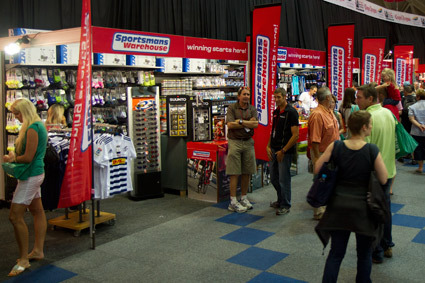 Judging by the retailers travelling from far to attend the launch, this time it is indeed going to be different. The Century City Sports Festival and Ryan Maron’s Cricket School of Excellence recently hosted an u11 6-a-side cricket tournament, which will become an annual event. Six teams participated: Reddam Constantia, Parklands College, Elkanah House, Jan van Riebeeck, Ryan Maron Southern Junior Club and Ryan Maron Northern Junior Club. Reddam Tokai walked away as the winning team. 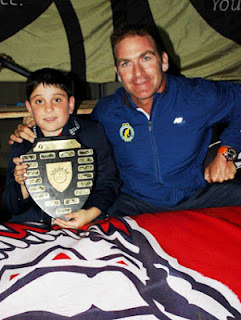 Gunn & Moore sponsored the prizes and New Balance sponsors the outfits for Ryan Maron’s Cricket School of Excellence’ coaches. The Cape Argus Lifecycle Expo took place 8-10 March, during the three days leading up to the annual race day. 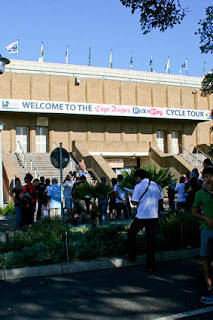 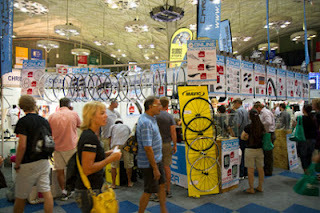 It is the largest cycling, health and fitness exhibition in South Africa and each year it attracts thousands of visitors. 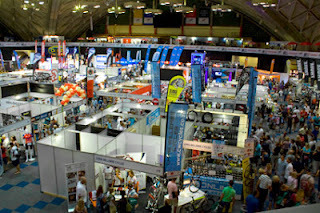 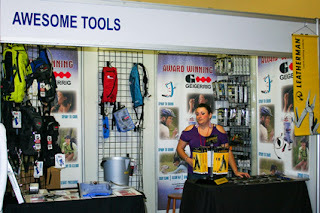 This year the expo featured over 340 exhibitors. 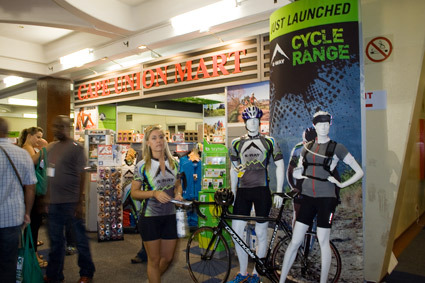 Cape Union Mart is now also doing a cycling clothing range under their K-Way brand. 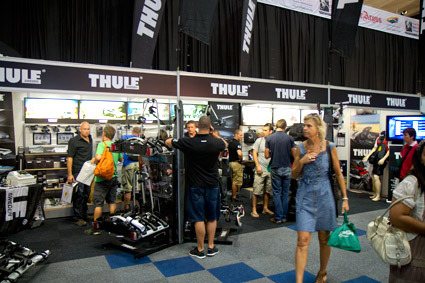 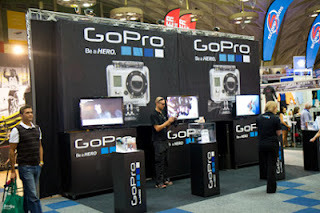 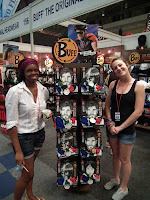 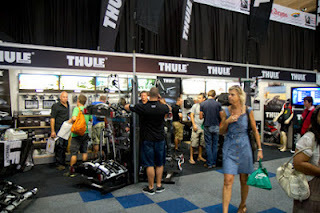 They launched the new range at the Cape Argus Lifecycle Expo. 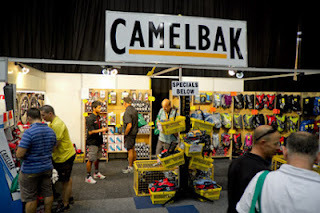 Produced in K-Way's factory in Ottery and tested on the slopes of Table Mountain.